There aren’t many food items the Inland Valley is willing to line up for. Ice cream at Handel’s, especially on $1 cone days (Wednesdays in Upland, Thursdays in Rancho Cucamonga). Menudo on weekends, various locations. Maybe turkey legs at the Fair. 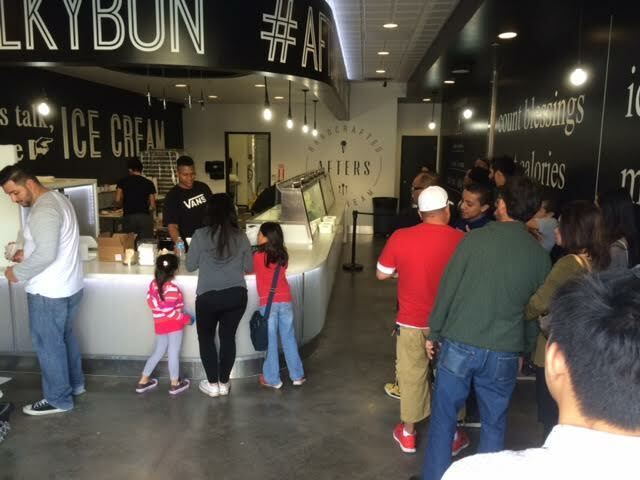 Afters makes its own ice cream, in creative flavors such as Vietnamese coffee, acai blueberry, milk and cereal, and cookie monster, and it offers some mix-ins. The thing to get is the milky bun. 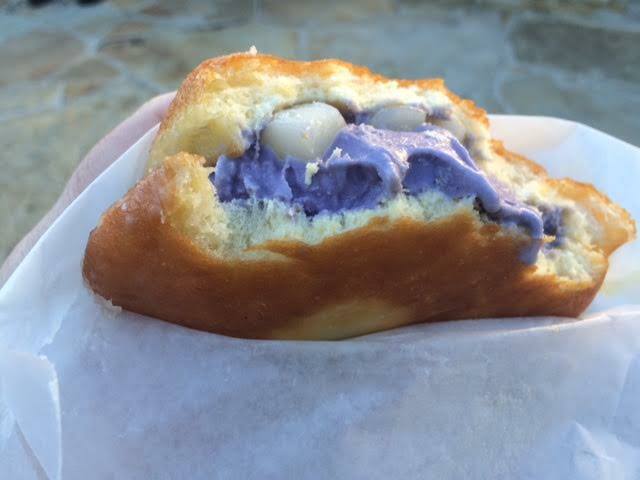 It’s a doughnut-like bun about the size of a hamburger bun, which they’ll cut open and put your ice cream in, then heat briefly. The bun is warm, the ice cream stays cold. A milky bun with one flavor and one mix-in is $5. I’ve had jasmine milk tea (with mochi, below), mint monster (with Oreos, up top) and churro (with Cinnamon Crunch ice cream). Once I had the unglazed milky bun and switched back to glazed the next time. 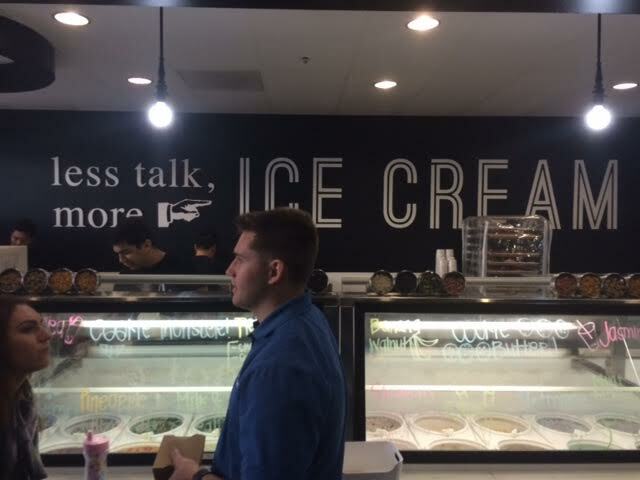 I ask the staff what mix-in they recommend with my flavor choice and go with that. They do this for a living, after all. 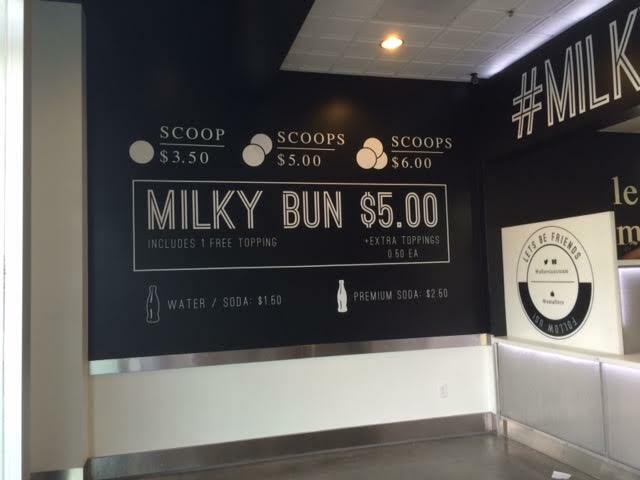 If the milky bun is too much for you, they sell their ice cream by the scoop. 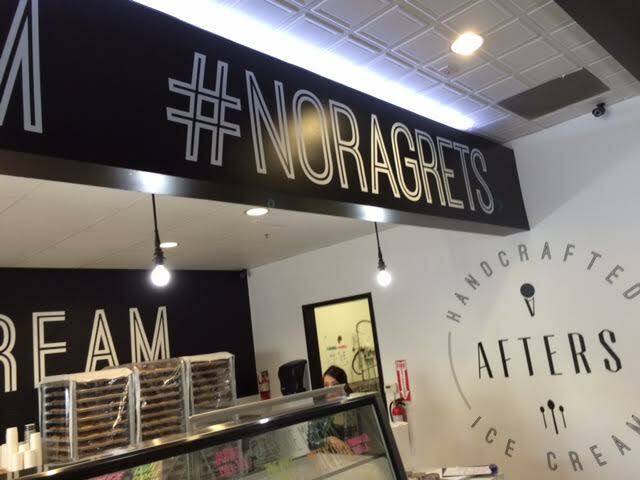 * It turns out “No Ragrets” is a sly joke that began in the comedy “We’re the Millers.” See comments below. 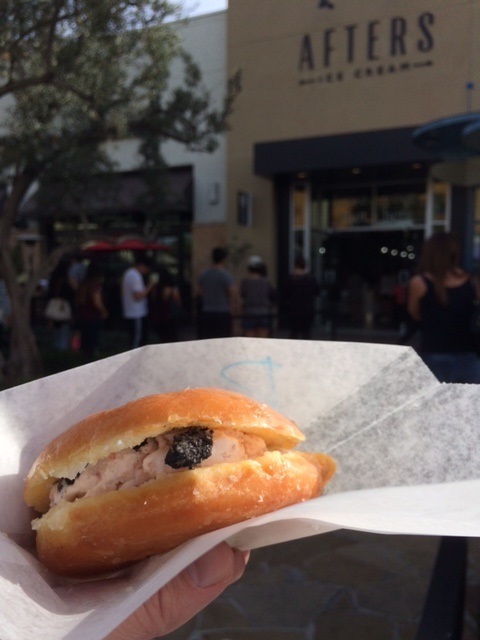 This entry was posted in Restaurants: Chino Hills and tagged Chino Hills, ice cream, restaurants by David Allen. Bookmark the permalink. The cones at Handels on Wednesdays have been $1.25 for a while–and they are very small, compared to a normal serving. I don’t like it when they “clean-up” the scoop by knocking off the muffin-rim. It’s been a year or two since I’ve eaten there. Not surprising in a way that the price has gone up; the owner told me maybe three years ago that they were basically breaking even on the $1 days. Is it? But it’s misspelled! From 2013’s We’re the Millers. Ha ha! OK, that’s funny. I ragret bringing it up. No Regrets is fine song by Tom Rush in the 1960s. Old timers might appreciate one of his newer compositions, the forget song.